Set in a beautiful country location and overlooking the coast, the Fermain Valley Hotel could almost be called the Fermain “Bay” Hotel. It combines beautifully sea and country settings, from the softly decorated guest rooms to the two restaurants, one focusing on meat and the other focusing on seafood. The warm and friendly welcome guarantees a luxurious experience. The hotel's indoor swimming pool and sauna room act as a spa, with the award winning gardens creating an atmosphere of relaxation. The hotel is very popular for private, family or business functions as it offers a spacious and dedicated building, The Venue, equipped with facilities as a 3D cinema. There is a choice of Silver, Gold and Platinum double / twin rooms spread over two building, the main hotel and the Venue located just behind it. Most Gold rooms features a balcony with valley views. Children can easily be accommodated with extra beds or cots in larger rooms. All rooms are en-suite, individually and exquisitely designed and equipped with bathrobes & slippers, television, free WiFi, fridge, hairdryer, tea & coffee facilities, ironing facilities, safe, fresh fruit, chocolate or fudge, complimentary water, complimentary decanter of sherry, and nightly turndown service. The Ocean offers a beautiful setting created with reclaimed sea-oak interior. This is the place to try anything sea-foody, from local lobster to turbot. On warm days, savour the fabulous local food on the magnificent terrace, overlooking the coast. With modern décor, the Rock Garden serves a great menu of classic steak dishes and takes pride in its delicious cocktails. Located in the Venue Building, Buho is a Latin themed restaurant serving exciting Mexican dishes.Buho combines delicious food, a cocktail bar and live entertainment. Why not walk down to the bay at the bottom of the hotel's valley? The path is a little steep but the reward will be worth your efforts. On the beach you will find water sports, a lovely beach café and clear blue waters. The hotel is only 5 minutes’ drive from St. Peter Port. The main hotel is disabled-friendly, with a fully disabled twin room and two rooms with walk-in showers available upon request. The Venue however isn’t suitable for wheelchair access. 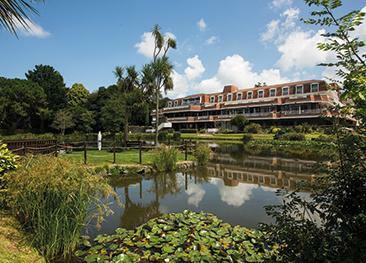 We were very pleased with Fermain Valley Hotel and feel we chose the best hotel for our needs. The hotel was of a high standard, serving good quality and imaginative food and all staff were excellent. Excellent hotel. Staff are very attentive and our room was big and clean. Breakfast is excellent with a very good range of food on offer. Restaurant for evening meal and café are both excellent too. Couldn't have asked for more. Facilities are also great with free shuttle service into Town. This is a first class hotel with very good attentive and professional staff. Indoor pool excellent. Food of high quality. Nice location and well kept grounds. Perfect for the relatively short stay ie a week. Marvellous hotel - well appointed, clean and comfortable bedroom. Perfect location. Friendly, helpful staff and beautiful food - what more could one want? Very comfortable room, excellent view over the valley and very helpful staff. This Hotel is AMAZING!!! The staff are so polite and VERY helpful. The hotel it self is beautifully kept, clean and tranquil. I will revisit as soon as I possibly can! Lovely food, lovely room, great service, perfect location. 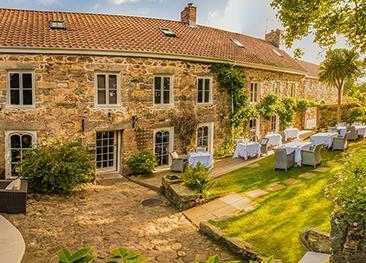 The Bella Luce is an exclusive boutique luxury hotel & spa set in a beautifully restored 12th century manor. The hotel is a perfect place for a truly peaceful break and offers an intimate setting to replenish, rest and enjoy the island’s beauty.